Android is a focus for us, and this increased big-time this year. One of the new folks listed here, Andy, is an amazing Android developer: https://blog.gaiagps.com/gaia-gps-welcomes-5-new-team-members/. He left Facebook, where he worked on massive Android projects for billions of people, to come work on Gaia GPS. He's a longtime Gaia GPS Android user who personally wants to see Gaia GPS Android be the best it can be, for his adventures and yours. Andy has done some bug fixing on Android so far, but his main feature product has been the new search tech. Here it is on the website, soon in Android: https://www.gaiagps.com/hike/united-states/washington/mount-baker-snoqualmie-national-forest/. We're launching this search feature simultaneously on iOS and Android, and we plan to launch in December. It works really well already, and if you are a beta tester on either iOS or Android, you can be using it now as we finish polishing it. The next big Android project is maps and map downloads - bringing that up to par with iOS, including vector maps! You're going to see map download sizes cut by more than an order of magnitude, impacting time to download and size on disk. 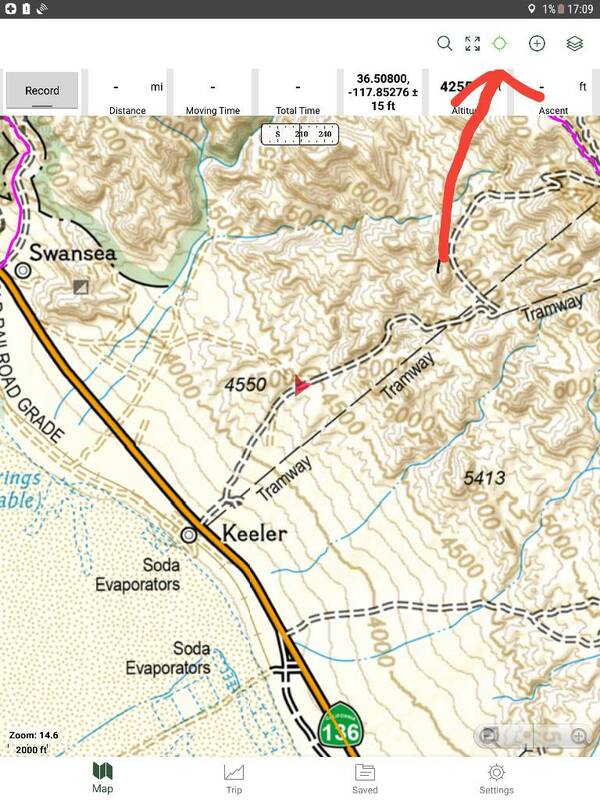 Plus the maps look awesome, and you can do stuff like effect the text size by changing your device settings. I hoped to this this this year, but it's looking like 2019Q1 now. This project involves my partner Jesse, my partner/wife Anna, and Andy, so you might say we have our top guns are going to be pointed at Android maps. Some work has already been done, but this is mostly queued behind the search project. The Android vector maps project is similar to a project happening on the website too. You folks might like to give the new "map2" for a spin, we have a live alpha going as we develop it: https://www.gaiagps.com/map2/ - notice how the zooming and text works when you use the vector-based sources like GaiaTopo. Android will be like that. The web version of this product is captained by another person mentioned in that blog post (Lucas). And there literally couldn't be a better person for it, since Lucas is one of the authors of the vector mapping technology/framework that he is implementing for the web map (i.e. he last worked at Mapbox on creating mapboxgl, and now he's implementing mapboxgl for /map2). I'm not sure if Android can be 100% as good as iOS, especially on the universe of all Android devices. But we're certainly going to close the gap a metric ton over the next 6-12 months, so bear with us. We do share some values spoken here, that Android/iOS should be more at par, and that Android/iOS should get new features at mostly the same pace (except when we want to stagger releases so we can test/iterate before building on iOS+Android+web). Our most recent customer support hire (blog post imminent) is a guy named Erik, who stood out to us because he's in the process of publishing an Android app (plus he's a good writer and did the PCT thruhike). We hope to see Erik eventually transition from support to engineering (as did the person he was brought on to replace, who transitioned from support to GIS/maps engineering). We're also likely to make one of the new engineering hires in 2019 Android focused, assuming we can find the right background. Your Gaia GPS team now includes 14 people (and some contractors), and if I have my way, it will be 20+ full-timers by the summer. We've been working on Gaia GPS for 10 years now, but we somehow had overnight success in 2018, and now the company is growing and the product is evolving faster than I've ever seen it go, not just marginally so either, it's warp speed now. We're still boot-strapped, and we have neither debt nor investors, so what you can expect is another decade of earnest work with the company focused on the community. Glad to hear you guys are bringing more to the table for us Android users. The app seems like the best bet going but it always seems more awkward than necessary when in use. I default back to RideWithGPS for route planning. It's a cycling app but its route planning interface on the web is easy to use and accurate, plus it's easy to transfer to mobile. Gaia still has more features and info available though, so I'm hoping the updates whip it into shape. Is there a way to make the map as track up when it shows you moving on the map? I hate when I’m doing an out and back route and coming back and looking at the map my brain thinks I need to turn right when it’s actually left. Seems like the orientation is always North up. Can you do track up somehow? I can’t figure it out. I look forward to the new updated Android version(s) rolling out in the future. I have done a lot of complaining about the app (mostly bug related) and there are still quite a few aggravating bugs. That being said, and after all of my complaining, I have stuck with GAIA because I believe it has a lot of potential. (I have a premium subscription). I cruised over to the help forums on the Gaia website and was disappointed to see that it is basically a wasteland of unanswered posts. I'm not saying the staff needs to be involved, but normally with a product like this I would expect to see some user engagement. There is essentially none. This is all for Android, not sure of the differences with IOS, probably none for this discussion. In the western states, I use both "Gaia Topo" and "USGS Topo" for BLM. For NFS I'll add "USFS MVUM". I've rarely found a use for "USFS Classic" or "USFS 2016", but there are occasional nuggets of info in those that aren't in the maps listed above. My "trick" is to turn on all the available maps (one or two at a time) in areas that I know very well. I then look to see if they show items of interest (mines, creeks, etc) and accurately show legal roads, without showing too many roads that I know aren't legal. For example, before GaiaGPS, I would use the Gazeteer or Delorme atlases. There is decent detail in those for planning, but they show a ridiculous number of roads that are not legal, and I find out by getting to a locked gate and no trespassing signs, and then I have to backtrack. On first glance, Gaia Topo seems to have everything that is on USGS Topo. But I find many historic points of interest on the latter but not on the former. As you zoom in on the USGS, you can often find things like old railbeds, mines, cable cars, and many other cool things. - "NeoTreks Land Use" (It actually shows roads I know to be legal, that aren't shown as well on other maps. In particular, I use this for the military ranges in So. AZ that are legal with a permit. USGS shows too many roads that are no longer legal for use). This map is useful for route planning (the land use part), even if you don't need to download it for offline use. - "NatGeo Trails Illustrated", great for NPS areas, as well as some recreation areas. I wish they had this style of map for all regions, as it is very easy to read at different zoom levels, shows hiking trails, and clearly shows potential locked gates and other road closures. Super easy to read even at a glance when your tablet is mounted on your dash. If the text scaled to zoom level, and it included all areas, this map would be near perfect! With my storage capability, I typically use a zoom level of 14. Which often is just good enough for the USGS map. I can sometimes get by with a zoom of 13 on the "NatGeo Trails Illustrated" and "USFS MVUM". I think the zoom level is very particular to your device, your eyes, and your mount location, so you'll have to experiment. Cycle through this button and it will switch to track up. However, the moment you touch the screen it seems to default back to North up. Hey Folks, just wanted to pop in to say this is on our product roadmap for early 2019! If I've been using Motion X gps on my iPad for years and have a lot of saved tracks and waypoints, can I transfer that information over to work in this app? Can motionX output them as .gpx or similar files? Yes, I believe it can. So I'm assuming Gaia can import .gpx files?